Update: Facbook told Fusion, which originally reported that the social network uses people’s location history to suggest ‘People you may know.’ The social network has now told the publication it doesn’t include this factor in its recommendations. It added that it temporarily did so in a trial with a few users, but didn’t roll it out to the public. Our report from yesterday follows. Facebook knows an awful lot about its users, which is great for the company. The vast trove of data which includes your personal information, contacts, city of residence and taste in music helps Facebook target relevant ads to you and make tons of money in the process. By learning about who you’re friends with, it can also suggest people you may know, but haven’t yet added to your network. What’s interesting – and potentially worrying – is that it can also use your location history to suggest people. Fusion notes that Facebook uses a combination of several factors, including overlapping friend networks and similar location history (which it tracks through your phone) to recommend people you should add. That might be a good thing in some instances, such as when you briefly meet someone at a party or at the gym; if you’ve got common friends and have been to the same place, Facebook can help you connect with those people online. But what if you happened to have such details in common with people you never wanted to encounter again, much less have them find info about you on Facebook? Fusion took the examples of being at an Alcoholics Anonymous meeting where people might want to keep their identities confidential, as well as visiting an abortion clinic and being spotted by a protester who is later prompted by Facebook to visit your profile and add you as a friend. It could certainly get pretty ugly. This is one of the real dangers of handing over your data to companies in exchange for free services: you don’t know how it might end up being used, and the consequences may not be immediately apparent. Sure, we can protest such uses of our data, and perhaps we’ll get our way. But because of the rapid pace of development of connected services and our increasing reliance on them, it’s hard to cover all our tracks – and that makes it easy for people to locate and harass us. 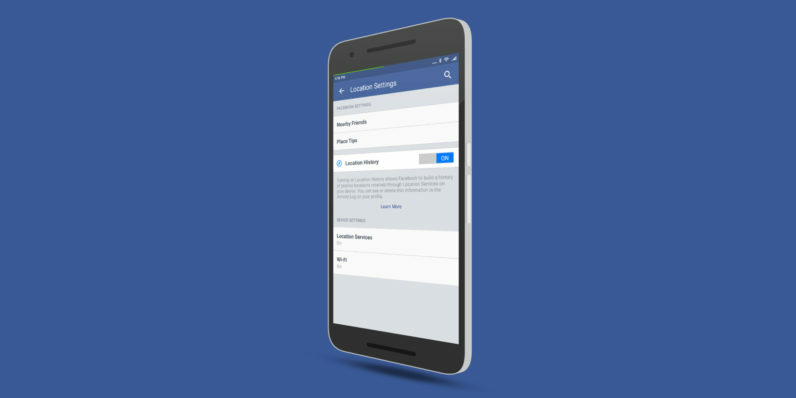 To disallow Facebook from tracking your location through your phone, head into the Account Settings menu, find ‘Location’ and turn ‘Location History’ off.